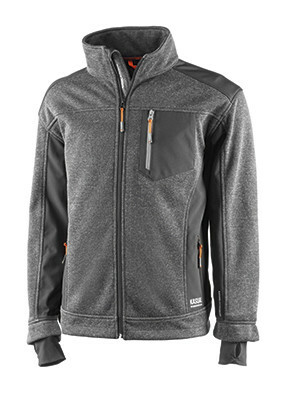 Wind-proof triple layer jacket with TPU membrane. Three front pockets with zipper. Elastic cuffs for better adjustment. 90% polyester / 10% cotton (grey fabric) and 94% polyester / 6% elastane (black fabric) and 100% polyester lining.